Fire brigades were among the earliest collective civic functions underwritten by any community. This was especially true before the laying of municipal water lines. But before I could locate the city’s first firehouse, I had to assess several issues: 1) Where were the city’s greatest fire threats? 2) Was it likely to be public or private? professional or volunteer? 3) Who was calling the shots? In a townsite as bi-axially symmetrical as Agincourt, a “one-horse” fire department would inevitably take sides. Fortunately, the CBD was centered and compact. Two other things are true: housing in the more prosperous parts of the city was widely spaced; the houses were large, but so were the sites. It was unlikely that a fire would move like dominos, leaping from one to the next. Working class neighborhoods, on the other hand, were more dense; the construction less fire resistant, and families lived in closer quarters. Besides businesses that were fire-prone (hardware stores selling turpentine; candy manufacturers and bakeries), there were also commercial operations at the city’s fringe (lumber yards, for example, blacksmiths, and Agincourt’s foundry; steam-powered locomotives). So, I settled on the south side, where a stray spark from a Milwaukee Road engine could easily ignite an unsupervised pile of lumber or coal. Horse-drawn wagons could still reach the north side, so a Broad Street site at Henry or David avenue would have garnered public support. You can’t please everyone. 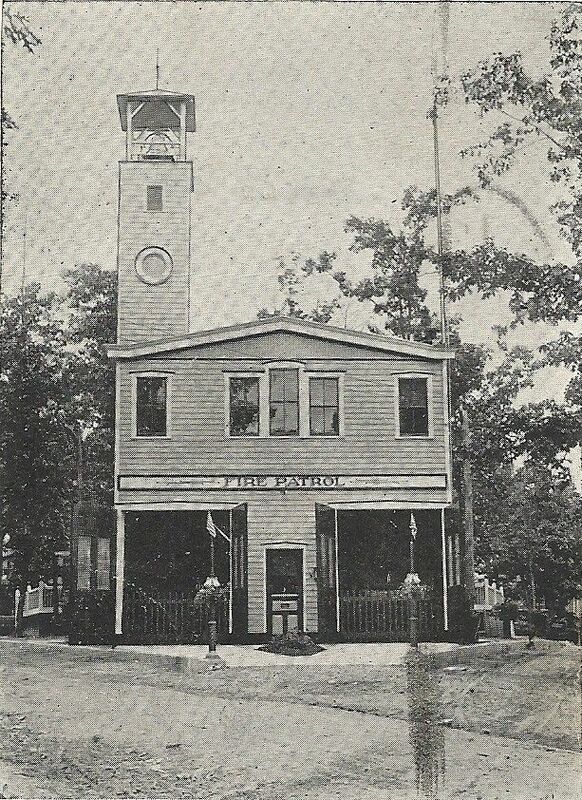 The firehouse in this unidentified postcard seems appropriate in size and construction and my site choice is defensible. So be it.